Iomega today announced the new Iomega Mac Companion Hard Drive, a speedy, large capacity desktop hard drive styled to match the latest Mac computers with a first-of-its-kind convenient high-powered port to charge your iPad, iPhone and iPod, as well as selection of computer interfaces for connecting peripherals like a printer or other external storage device. 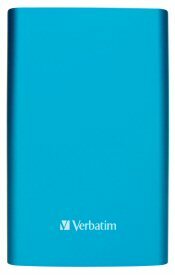 Verbatim, the global leader in data storage technology including portable hard drives, USB flash drives, CDs, Blu-ray discs and memory cards, has added a splash of color to its SuperSpeed USB 3.0 portable hard drive offerings with two new eye-popping options: Caribbean Blue and Hot Pink. "As a pioneer in data storage solutions, we've made it our goal to deliver what our customers crave without sacrificing a thing," said Charles Klinker, Verbatim's Director of Marketing, HDD Products. "Whether it's faster transfer speeds, more reliable back-up capabilities, or sleek aesthetics, we deliver on all fronts, and this compact USB 3.0 hard drive is no exception!" 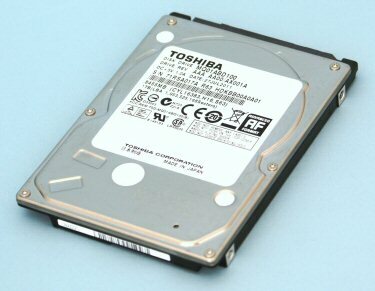 This compact 500GB hard drive not only impresses users with its lightning fast transfer speeds and its ability to reliably back-up and transfer files anytime, anywhere - but also seduces the visual senses for users looking get the best of the best in both form and function. It's the perfect way to save, store and share your favorite videos, photos, music and more. Plus it doubles as a colorful accessory to any outfit. Compatible with all USB ports, this sleek portable hard drive includes Nero BackItUp & Burn Essentials software that provides full system backup and restore functions, the ability to schedule automatic backup by date/time and an encrypted backup option with password control. Seagate today unveiled a new app for Android operated mobile devices that will provide a seamless wireless connection to 500GB of storage to stream up to 300 HD videos. Introduced in May of this year, GoFlex Satellite mobile wireless storage is the first battery-powered external hard drive to wirelessly extend the storage capacity of any Wi-Fi enabled mobile device. Although previously compatible with Android tablets and phones by using the device’s browser, the experience with GoFlex Satellite mobile wireless storage will now be enhanced through the seamless connectivity and added features of the GoFlex Media™ App for Android. Devices are wirelessly connected directly to the GoFlex Satellite drive by use of the free GoFlex Media App—available now on Android Market and iTunes for iOS devices—or a web browser. GoFlex Satellite mobile wireless storage is currently available worldwide for a manufacturer’s suggested retail price of $199.99 USD. Look no further than the Silicon Marvel M60, for experiencing the ultimate high speed USB 3.0 flash drive! Leading memory storage brand SP/Silicon Power today introduces its highest read/write speed USB 3.0 flash drive to date, the Marvel M60. The product hits a new milestone among SP USB 3.0 flash drive series by giving a read capability of up to 100/MB/sec. Encased in a uniquely designed, metallic exterior, the Marvel M60 is the consumer's choice, both inside and out! 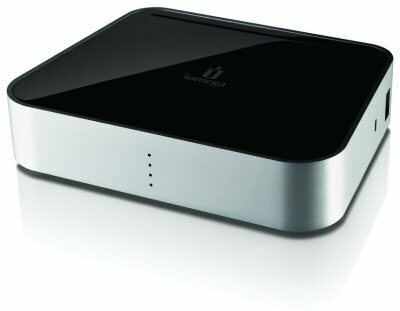 SP devotes itself developing USB 3.0 products in line with market demands for transfer efficiency. With one of the highest efficiency USB 3.0 interfaces out there, the Marvel M60 offers a maximum read speed of 100 MB/sec, and a maximum write speed of 70MB/sec. In this multimedia age, it's the ultimate information sharing tool! With its sleek lidless design and retractable USB connector, the Marvel M60 is compact and convenient to carry around. In addition, an LED indicator light displays power on and data transfer status, and the cool metallic exterior caters to the unique tastes of consumers!